Do you keep a bullet journal? Do you know what a Bullet Journal is? If you aren't familiar with the Bullet Journal concept, I encourage you to watch the introductory video by Ryder Carroll, the brains behind the entire system and the owner of the Bullet Journal & BuJo trademarks. Basically, a Bullet Journal is an analog planner, diary, journal, and physical manifestation of your every thought. 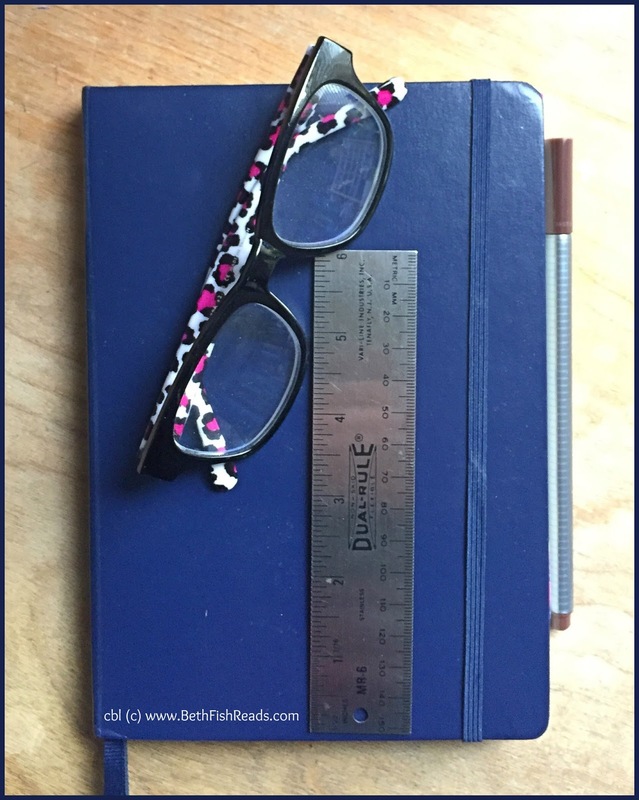 I was intrigued with the idea from the moment I learned about it several years ago, but because I've always been a total failure at keeping a journal, I was hesitant to try. Regardless, I wanted a cool dotted journal, and I wanted to be just like all my friends who keep their lives in order via their ever-present BuJos. 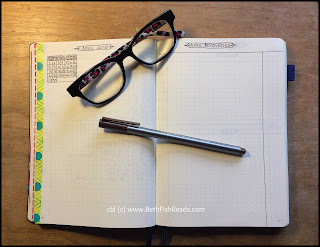 In 2014 and again in 2015, I started Bullet Journals: I drew out my monthly and daily pages. I memorized Ryder Carroll's symbol key, I bought a set of fun, colorful pens . . . and I fizzled out after a couple of months in each case. I'm stubborn. In 2016 I tried again, and this time I used my journal intermittently from May through the following February. But, again, it didn't really stick with me, and once I became busy with work, I let it slide. I was ready to admit defeat, but I wanted to know why the Bullet Journal--which pretty much everyone else loves--wasn't clicking for me. After much thought, I realized I was trying to adapt to other people's systems instead of adapting the Bullet Journal to me. Well, duh! After that, I decided to give the whole thing one more chance.. After six months, I think I've finally tweaked my journal to fit my needs. The first revelation was that I do not need a daily planner or elaborate to-do lists. I have a system that has worked for me for all my adult life and freelance career, so there is absolutely no reason to change. What I really needed was a tracking system and a place to write down ideas and information. I also didn't need a new art project. If you Google "Bullet Journal," you'll find all kinds of beautifully decorated pages and gorgeous calligraphy. I love many of the journals I see on Instagram and Facebook, but, frankly, I'm just not going put that much work into a planner. Instead, I developed a handful of very simple pages that I use month after month and that suit me fine. If I make a mistake, I use a correction pen or just go with it. I really don't care about perfect little squares and straight lines. Sorry, not sorry. So with this in mind, I'm going to show you some of the pages I rely on every day. You'll need to click the images to see them clearly (then use your browser's back arrow to return to the post). I start every month with the spread shown above. The only decoration I use is to put washi tape on the edge of the first page of each month to serve as a handy marker. I own three colors of tape, which I won somewhere or other, and use them in rotation. When I use up the tape I already have, I'll probably pick some prettier patterns. On the left I draw a little calendar for the month. I use that page to record anything I want to do that is not date related. For example, last month I needed to renew my passport. In September, I wrote down "Call to have the furnace cleaned." Some months, this page remains blank. The middle image shows how I keep track of all the books that come into my house for the month. I record the medium (print, ebook, audiobook), the title, and the publishing date. Finally, the right image is my reading log for the month. At the top, I keep track of various data: pages read, minutes listened, age (adult, YA, MG), genre, medium, whether the book is new or one I've had for a while, whether the author is male or female, and whether the book counts as a diverse read. At the bottom, I record the title of every book I read and then give it a rating to the right. Although I don't make daily pages, I do make weekly pages. I start each week on Sunday, and I don't worry when a week is split between two months. Here's where I track all kinds of things. At the top is my dinner plan for the week. Note that my little symbols are kind of messy: I don't lose sleep over it. At the right is where I record how much money we spent on food, household products, eating out, and wine for the week. To the left of the middle section, I record any unnecessary spending (like those cool new pens, I had to have). At the right I track a variety of things that I try to do every day. For example, "Wa" stands for my daily water intake. 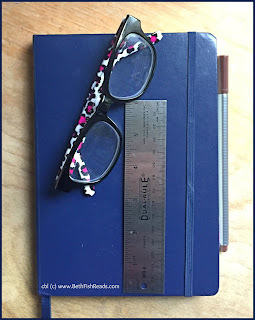 Below that section (not shown in the photo), I have a place to track my weight and my husband's weight and a place to record anything that strikes my fancy, like the first flower in the garden, a big snowfall, or a great quote from my current book. These lists are really the heart of my Bullet Journal. I love the fact that all those vacation ideas are now in one place and easily retrieved. Every so often I go through my discovery pages and transfer items that still look interesting to a collection page. But What About Appointments and Work Deadlines? For years we have kept a wall calendar in the kitchen, where we record all birthdays, anniversaries, appointments, travel, social events, and so on. 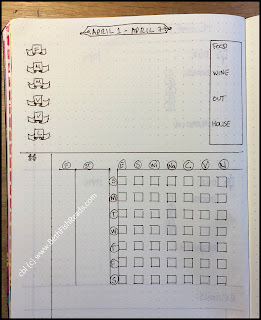 We are so completely in the habit of checking the calendar each morning and recording every event on it that there's really no need to re-create it in my Bullet Journal or to add it to an on-line calendar. We each have our own system for tracking of our work responsibilities and expenses. Because we're both self-employed, we need to keep records in a format that can be shared with our accountant. For obvious reasons, a Bullet Journal isn't a good choice for these data. We each have a small weekly planner that is used solely for our individual businesses. So there you have it: I'm a rebel BuJo-er! Only after I stepped away from the norm to make the Bullet Journal fit my needs did it become my new BFF. I'm minimal, I'm not a perfectionist, and I'm not afraid to modify the system to suit my life. I don't need no stinkin' to-do lists! On the other hand, the original system as developed by Carroll may be perfect for you. If you discover that you love decorating your journal and making it a thing of beauty, check out Pinterest, Instagram, and Facebook for inspiration. Whether you go rogue or stay traditional, Bullet Journaling could be just what you need to organize your days and keep track of your ideas. I've only read bits and pieces of the Bullet Journal. I'm going to try and read more of it. It seems like an exciting project. 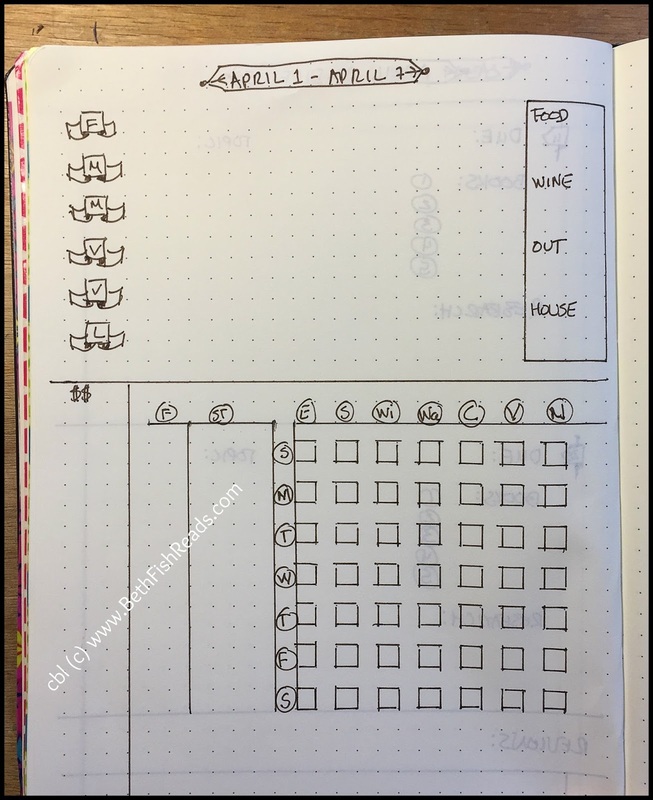 As you probably know, I've been a fan of bullet journaling for about thirty months now (although I've slipped a bit in 2018... this post reminds me to get back on track). 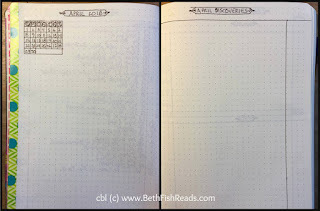 I love this simple style - and truly only decorate my monthly page. All others are pretty minimalistic (except I enjoy using colored pens for a little pop). I love the idea of a monthly "discovery" page and plan to implement in my BuJo soon. I also like how you track reading (currently I only use GoodReads). I bought two journals before the beginning of the year thinking I would start on Jan. 1st. I bookmarked a bunch of sites on journaling and anything else I found that I thought I'd like to do, and I watched a bunch of videos.There were so many different ways to journal and so much information out there that I got overloaded with info and was confused on which way I wanted to go. So I didn't go any way. My journals have sat by my laptop all this time, staring at me. This post makes much more sense to me, and more like my way of doing things. I like simple lists and I'm not that crafty so doodling is out. I like your way. After reading your post I feel better about starting. Thanks. I use a planner and that seems to work for me. I know BuJo's are popular, though - our local indie bookstore has been teaching classes in it. I love your Discoveries Page. I think I'm going to incorporate that in mine. I switched to a digital planner this year since I got an iPad Pro and an Apple Pencil. Carrying those in my tote bag to work is actually lighter than the leather travelers notebook I've used the past few years. I've got my tasks/errands/what I'm reading/listening to on one left side page and a journal on the right hand page. As you said - make it fit what you need. This is working really well for me this year. I don't use mine for appointments and events. The Hubster and I use shared google calendars (his, mine, ours) for those kinds of things. I always feel like the bujos with all the drawings and stickers and stuff are the rebels, haha. I just the plain, easy tracking that mostly complies with the original video, except I just never bothered with some of the original symbols and stuff. I also keep a separate bujo for health-related stuff. I've found that I really enjoy the system though I don't really use it much for collections - when I've done that, I tend to just forget they're there, and prefer to use notes on my phone for things like movies I want to see or ideas to check out. 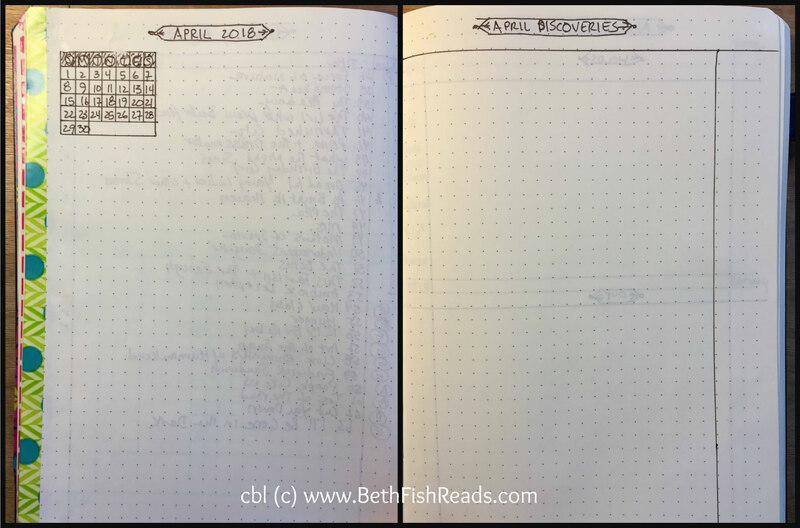 my bullet journal is nothing like the guidelines, but it very specific to my needs, which is keeping track of my book reading and reviewing and who I am supposed to send reviews to etc. It has helped me immensely. I like that it gives me the flexability to add misc. pages such a book lists etc. when ever I want. one of the most helpful pages is that which lists my tbr books that are physical arcs on hand. I've played around with Bullet Journals and what has worked with me is well over in the rebellion side. My whole journal consists of two page spreads for each project I tackle with ideas on the left and a log on the right. Works for me and I am grateful to the Bullet Journal concept because I wouldn't have got here without it. I use a Filofax with week on 2 page inserts (they have to be vertical! ), and I love it. Between teaching and Writing Center responsibilities, my days can be quite busy, so I use the top half for appointments/classes I teach/etc. and the bottom half for to-dos. A sweet employee of mine gave me a beautiful bullet journal last week, and I'm trying to decide what to use it for! Maybe I'll modify your book section to fit what I need. Love seeing how different people keep organized. I finally had to realize that all the pretty pages that some BuJo bloggers did, just wasn't me. Mine is similar to yours. It is what works for me. I am going to "steal", "borrow" or just "copy" your Discoveries page though! Great idea!